Vaseline® believes that truly healthy-looking skin starts with deep healing moisture. It’s not something you get by masking problems or through quick fixes. Vaseline knows this because they are one of the original skin experts. Founded in 1870 by Robert Chesebrough, Vaseline® has been safely helping dry skin heal for over 140 years in North America. Vaseline® Jelly Baby is a gentle jelly that keeps babies' skin soft and smooth. 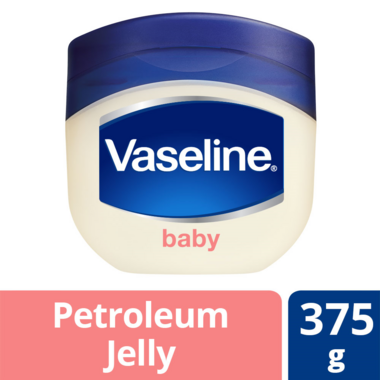 Babies have sensitive skin that should be cared for with specially formulated products - so it is essential to choose products that are effective and kind to your baby's skin, like Vaseline® Petroleum Jelly for baby. Vaseline® Jelly Baby helps heal dry skin by locking in moisture and soothe the skin as quickly as possible. Vaseline® for baby also creates a protective barrier to prevent friction between diapers and your baby's skin. It also comes in a recyclable, flip cap jar, making it convenient and simple to use. A moisturizer for sensitive skin should be gentle on the skin, safe and effective at moisturizing your skin. Vaseline® Petroleum Jelly combines all of these properties in one convenient packaging. Regular use of this hypoallergenic moisturizer will help you gently care for your baby’s skin and maintain smooth, deeply moisturized skin. Easy to open and use. I don't mind the baby powder smell. It's fresh and clean smelling. My grandma swears by this for her dry skin and is the only thing she's willing to use. I find it too heavy for my skin for regular use but it's amazing for the dry heels and elbows. When my hands get too dry in winter, I would use it and wear a pair of cotton gloves. After 30 mins or so, the hands are super smooth! This is a heavily perfumed product. Made my baby's rash worse. I don't know why they perfume any baby products in this day and age. I would give 0 stars if I could. I was really excited to try this as my baby has sensitive skin. To my disappointment it has perfume added to it... a strong one at that.. to make it smell like baby powder. I will be returning it. Excellent product for preventing baby's diaper rash! Excellent product,very soft for baby's bottom. He's never ever had a diaper rash. Works so great to prevent diaper rash, has a nice light baby powder scent to it. Excellent product. 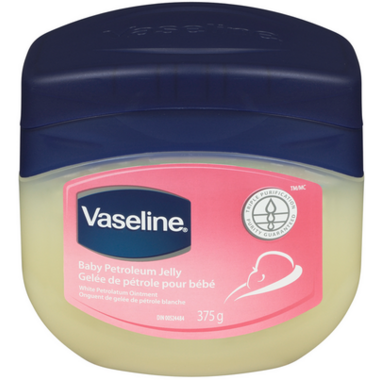 Better than regular vaseline for using on baby's bottom. So lucky to get this lotion in Well.ca. It is really hard to find it in other stores. This product is great. I have not had to use anything else for my 3 month old son. He had a slight diaper rash and Vaseline worked to clear it up within a day! However the sent is a bit strong so I will be sticking to the original Vaseline. I put this on my baby at every diaper change, unless she has a rash, to provide a barrier from wetness. All the creams marketed for daily protection are just petroleum... I just buy this and it lasts way longer, is more cost effective, and it smells like baby powder!